Summary: A new study reveals that while multitasking diminishes our ability to remember some things, we can still focus on important information while our attention is divided. Distractions diminish people’s ability to remember, but important facts still stick, UCLA psychologists report. But the scientists also found that multitasking did not affect students’ ability to recall the information they were told was most important — the highest value words. Participants in all four groups were nearly five times as likely to recall a 10-point word as they were to remember a one-point word. NeuroscienceNews.com image is adapted from the UCLA news release. Funding: The research, which is published in the August issue of Psychological Science, was funded by the National Institute on Aging. Tyson Kerr, a former UCLA undergraduate student, is a co-author of the paper. Image Source: NeuroscienceNews.com image is adapted from the UCLA news release. 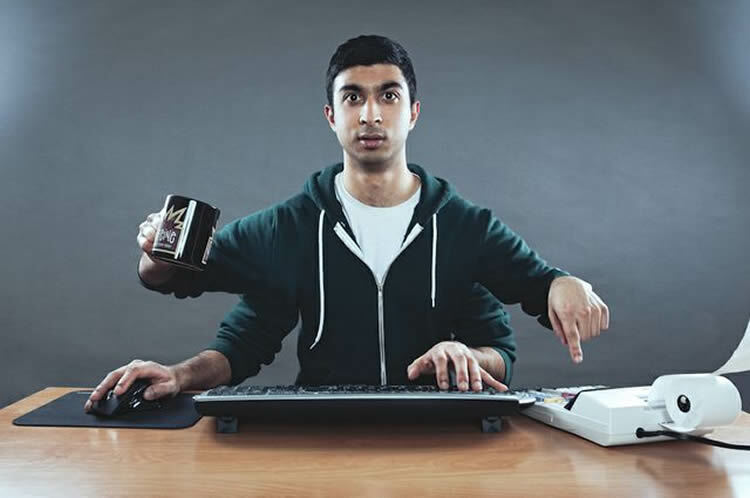 UCLA “Don’t Multitask While You Read This.” NeuroscienceNews. NeuroscienceNews, 24 August 2017. UCLA “Don’t Multitask While You Read This.” http://neurosciencenews.com/memory-multitasking-7366/ (accessed August 24, 2017).